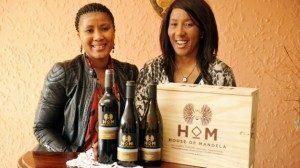 At a low-key tasting and reception in Johannesburg’s modern Sandton Square complex last night, the first three wines in the House of Mandela range were launched by Mandela’s eldest daughter Makaziwe, her daughter, Tukwini and Mandla Mandela, the new chief of the Mandela clan. At the age of 92, Mandela will not be personally involved with the project, but he has given it his blessing. On his travels following his release between 1992 and 1994, Mandela was careful never to endorse any one product personally. But when he was photographed with a Cape wine in his hand, a Nederburg, he took the opportunity to say that while in the past he had asked people to boycott such products, he had changed his mind and was now asking for support for them. Today, he has that support. South Africa produces 805 million litres of wine, more than three per cent of the world’s wine, and exports half of it. When Makaziwe Mandela was first approached with the idea four years ago by her Norwegian friend, Camilla Bernal, her first instinct was to say no, especially since the Norwegian company were keen to put Mandela’s face on the label. Makaziwe made it clear that it just wasn’t done in Africa to put the face of one member of the family forward in that way. The Norwegians changed tack and suggested it be called the House of Mandela, telling the story of the family’s ancestors, Mandela himself and his legacy. Makaziwe saw the potential and gave it the green light. The new House of Mandela website with the bee as its family crest (www.houseofmandela.com) recites the Mandela family ancestry in proud detail. As President & CEO of St. Francis Winery & Vineyards, Christopher Silva has a specific focus: crafting world class Sonoma wine. St. Francis uses 100% hand picked, Sonoma County grapes in all its wines, and is best known for rich, complex Sonoma County Chardonnay, Cabernet Sauvignon, Merlot, and “Old Vines” Zinfandel. Widely awarded as quality leader, St. Francis is committed to being the premier producer of Sonoma wines in each of its categories. Chris is a fifth-generation Sonoma County native, from a family of Petaluma dairy farmers. 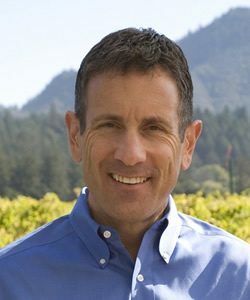 A 1989 graduate of Loyola Law School in Los Angeles, he retired from practicing law to join St. Francis Winery in 1998. At the age of 38, Chris became President & CEO of St. Francis in 2003. 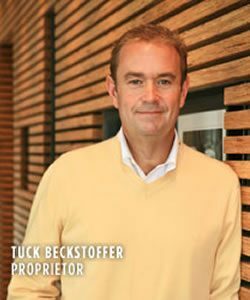 Tuck Beckstoffer creates world-class wines. As the President of Tuck Beckstoffer Wines he produces a dozen of Napa Valley’s most exciting and sought-after wines. Working with a spectrum of varietals, Tuck gives the consumer unparalleled quality in a range of prices. Pioneers of the Napa Valley grape growing industry, the Beckstoffer family made the vineyards both their lives and their livelihood. When not playing in the vineyards, Tuck was learning about them. 1975 marked his first harvest, and since then Tuck can’t remember a harvest when he hasn’t tasted, smelled and picked the fruit straight from the vine. Tuck has lived in the Napa Valley since 1975. After a lifetime among the vines, he continues to thrive on making wines that are an expression of the place he calls home.